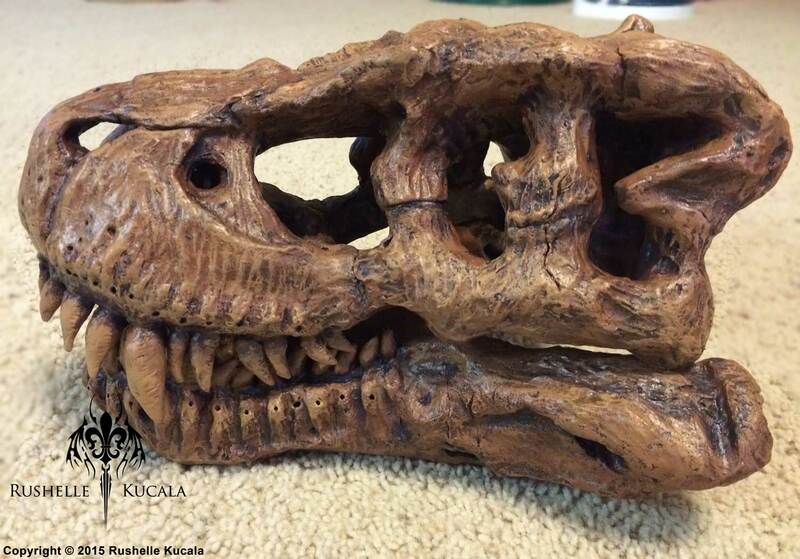 I've always wanted a T. Rex skull replica, but they can be expensive. So I decided to make my own! Made out of wire, Sculpey Clay, and acrylic paint. It was a lot of fun to sculpt, and I think it turned out pretty nice! Now it sits with my skull collection in my room.